Secure™ Adhesive Tie Mounts are great for those installations when drilling holes is not an option. Simply peel and stick for quick cable management; no need for tools or anything other equipment. Adhesive Tie Mounts give you the ability to hang cables almost anywhere while keeping things simple. 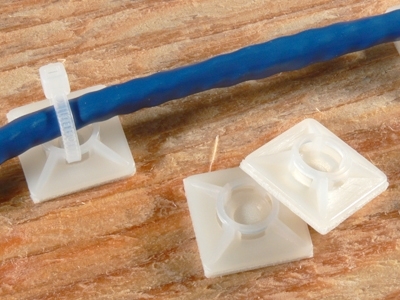 All Secure™ Tie Mounts can also be screwed down for extra support when adhesive is not enough. Secure cables, conduit, wires and so much more. With Secure™ Adhesive Tie Mounts the possibilities are endless.